Combining all-natural Pea Protein Isolate, Brown Rice Protein, and Hemp Protein, our Vegan Blend is a high-protein shake created specifically for vegans – completely free of soy or dairy. The superior protein content, derived from plant-based sources, contributes to the growth and maintenance of muscle mass. It’s a great source of BCAAs, too. These are the building blocks of protein, which make up the structure of new muscle tissue – so important whatever your aim, whether it’s losing weight or toning up. Protein contributes to the growth & maintenance of muscle mass, so to reap the benefits of this product we recommend adding 1 ½ large scoops (37.5g) to 300ml of water or milk in a Myprotein shaker 30 minutes before and/or after your workout. Alternatively consume any time of the day to increase your daily protein intake. Protein Blend (65%) (Pea Protein Isolate, Brown Rice Protein Concentrate, Hemp Protein), DigeZyme*®* Patented Enzyme Complex (Protease, Amylase, Beta-D-Galactosidase, Lipase, Cellulase), Cocoa Powder, Flavouring, Sweetener (Sucralose). 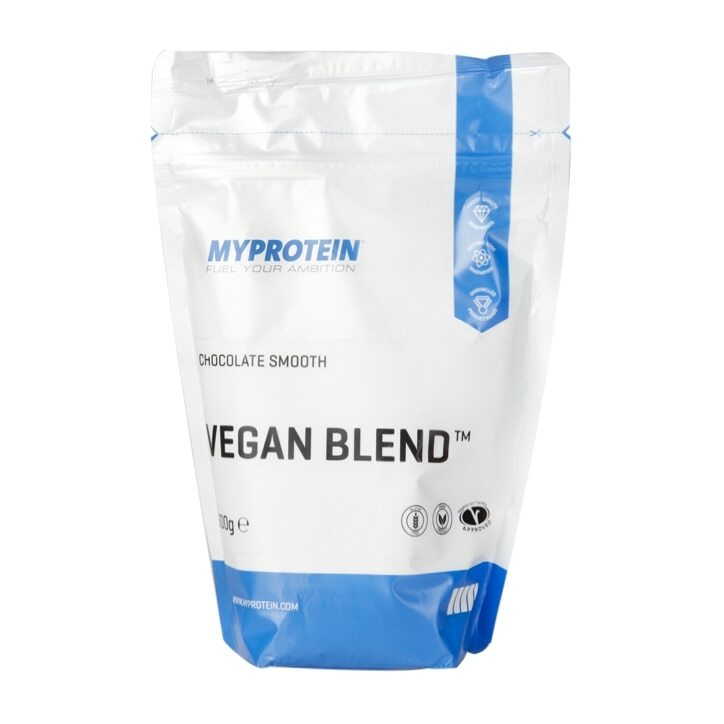 Myprotein Vegan Blend Chocolate Smooth is rated 3.5 out of 5 by 26. Rated 4 out of 5 by Colin2904 from Great Product Great tasting protein but can be a little grainy if made up with water. I use almond milk and it works a treat. Rated 1 out of 5 by chinM from I’ll drink what I’ve bought but won’t buy again Bought it today, and the review that says it’s grainy is very true. Kinda has a powder residue throughout the whole thing. Would love to know how the people who rate it highly drink it. Im just pretending it’s seeds to get through it. 15 more portions to go!